Providing court reporters, CART and broadcast captioners the largest library of resources on the planet. Enter your email address below to receive a promotional offer valid for 5% to 100% off your new membership subscription. *Not to be combined with any other offer/promotion. Thousands of members rely on Stenographers World to advance their skills and make more money in our growing industry. Now, we've added even more features, tools and support to help you stay on the leading edge of your career and get paid what you're worth. You can even customize your level of access more than ever before. Earn continuing education units (CEUs) as you learn. On-demand training resources on your schedule. Stay up to date and improve your skills at your convenience. Build your speed and test your realtime and edited speed takes. Test yourself on past NCRA exams. Upload your own dictations and share. Track your progress. Take part in healthy competitions. Conquer your fears and build your confidence by writing live alongside your peers to live dictation through our online interface. Improve your skills with our other added features, some that are included with your membership at no additional cost. Enter your email address below to receive our newsletters containing upcoming events, special promotions, and other valuable information. *Your email address is safe with us. We will not spam you or sell your email address. Our podcasts are available through the following providers. You can also listen to the various episodes right here on this page. Please take the time to check out the services offered by our featured sponsors.
" Very challenging and interesting! (Pesticides and art anthropology.) And this from a 39-year reporter and 21-year realtimer!" "I love the Write Live sessions! Interesting material and great concept!" "The speed building library is great! I have been looking for something like this for a long time. I can grade my speed takes and realtime takes, too. Fantastic! Thank you! "Selena - I love it :) I especially loved the breakdowns. Quality is wonderful as is material. I hope to take the CRR and RDR tests this year so really need to work on getting better." "I really love the concept of being able to upload a transcript into LMS and be graded on it immediately. That is super fantastic! I have aspirations of becoming a captioner, so that feature and being able to possibly CART a live webinar in the future are the two main reasons I joined Stenographers World." "This is the best site I have seen to date for reporters. Thank you." "Hi Selena..I just wanted to let you know that as I am heading out to my job today that your positive and encouraging attitude about CART made me smile. I had almost given up but because of you and your site I am going it give it another shot. Thanks so much." "Selena, that was a really awesome webinar by Arlene Romoff, my favorite of the webinars thus far. It was a very riveting presentation. I really enjoyed hearing the perspective of someone who has experienced deafness and what it was like for her and how it changed her entire world. I definitely learned a lot and I plan to purchase both of her books in the future to learn more about hearing loss and those who are hard of hearing. I didn't realize I was going to enjoy this webinar so much. This information has definitely broadened my scope on the deaf and HOH community and I have much more compassion, empathy and understanding about deafness and hard of hearing than I did before. Any one of us could have been Arlene Romoff. What a wonderful story. I'm glad it ended happily for her. I'm looking forward to hearing the replay because I came in late to the webinar." "Tracy was awesome doing the CARTing. She is really super good! I was so impressed with her skill level. I was just watching the captions and I thought wow, whoever that is, she is really good. I know I would have been a nervous wreck had I been doing the CARTing." "I am just finishing the last replay right now. Did them all today! Thank you very much. I will spread the word about your informative website." "Thank you. I did watch the webinar last night, and found it very informative. I'm really excited about your website and what you have to offer." 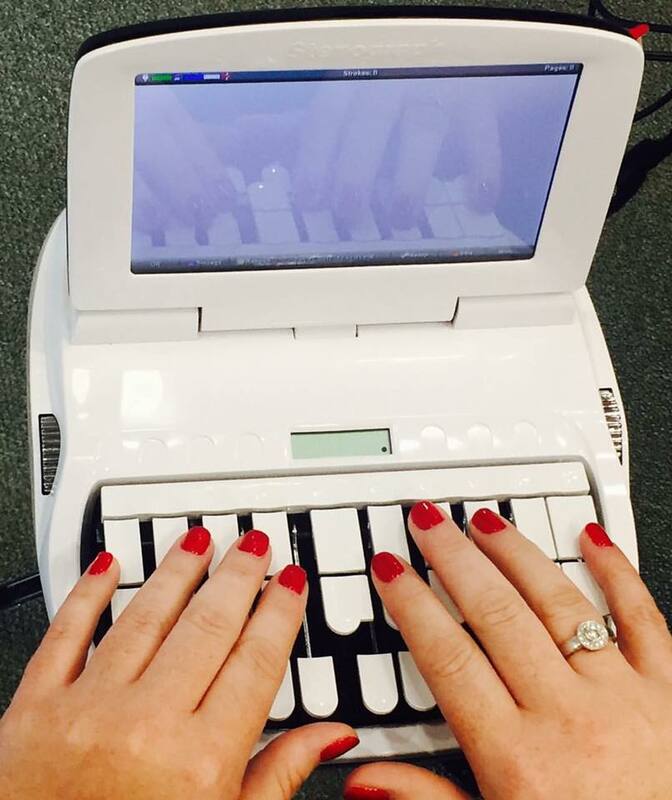 "I love the Stenographers World website and have been telling everyone about it. I even posted about it on the Depoman website so I could share it with more reporters. There are so many helpful tools that will make me a better reporter!" "Hi Selena. First let me tell you how much I love your website. It's the best I've seen in a long time." Selena, I just got done watching his Mark's 1 of 4 Webinar. I am so excited to be getting his book. I just told my husband I was going to spend $200 on a book to help me learn realtime. He had been listening to Mark's webinar and said it sounded like a great investment. Thanks so much for obtaining Mark as a presenter!! This has been my all-time favorite webinar so far." "Hi, Selena, Just wanted to thank you for the seminar with Mr. Paiz. He was super informative. It was really great learning all those things details that make our lives just a little bit easier. Hope we do stuff with him again. I really love your web site and have enjoyed being a member. I've still yet to take advantage of the interactive dictionary. I plan on doing it very soon. Thanks again! "Hi Selena, I just got through watching Larry's webinar. Wow is all I can say. I sure hope you can get him to come back." "Thanks so much.. I enjoyed the webinar and plan on taking more." "Thank you, Selena! You are awesome!! I very much appreciate all you do for us! Also, I saw the Training video with Mark on Magnum Steno. I applaud you for doing this in view of all of us! It will help not only you as you free up some finger speed and begin to write with less effort but will also help many others who are either afraid to dive into the process or don't know how to start it. You two are both very generous to us!" Just wanted to say I am so grateful that I found this website. I look forward to learning, listening, and soaring in my stenography career. Larry's webinar on Saturday was amazing!! Thanks again. "Thank you so much!! I will pass this website along to my court reporter friends!!!! "Thank you so much for having Larry as your guest presenting Webinars! He is such a great teacher and I have learned so much!!" "I joined Stenographersworld two days ago - I have to tell you how impressed I am! The Case Catalyst seminars are excellent, I tweaked things in translate options and am curious to see if it cleans up some of my mistrans." "Loved this seminar. Larry Paiz is amazing. So informative. I feel like I learned so much." "Thank you so much for the awesome webinar. Larry is a really good instructor. I really loved the idea of a webinar on Dropbox. I also enjoyed the Q&A session. Great idea. Thanks again. LOVING Stenographers World." "Thanks again for providing an alternate way to meet education requirements." "Just joined the website and my first webinar. Loved loved loved all of it!" "Hi Selena - I LOVE LOVE LOVE these webinars. Thank you so much for doing them, especially the Case Catalyst training webinars." "Just sent your e-mail out to a courthouse full of about 55 court reporters." "I was recently introduced to Stenographer'sWorld.com by a friend. I'm thrilled to find a community of captioners/CART providers like myself." "Thank you again for great seminars (now I just have to implement what I learn and I’ll be good to go!)" "I love being able to get points this way, and I love that you offer Catalyst-specific webinars. Larry Paiz is a great teacher." "Thanks for the great webinars." "I have used tables for a while now, but always try to get points by watching something related to my software. I've taken live and webinar classes from Larry Paiz before, and he never fails to me teach me something new every time he does a presentation. Today was no exception. He tremendously helped me clean up my use of tables." "Thanks, Selena. I truly enjoy Larry Paiz's webinars. He teaches us things that we can use to cut our time spent on jobs." "Selena, THAT WAS A-W-E-S-O-M-E!!! I've always wanted to work on learning more ASL for both work (CART someday) and for personal reasons. Started my daughter on simple signs at 6 months old and she was using them by 8 months but never took it farther than the simple stuff. She still uses those today at 7 years old and they learn a little more in her school. I'm sooooooooo excited that you're doing this one! Sean was fantastic and you did a great job! Can't wait for the next one!! Thank you!" "Enjoyed the event! Looking forward to the next one. I'm new to Stenographer's World. Do we have these kind of events regularly? What a great forum." "Bottom line, when my subscription is up, I would like to renew if I can. I love your site and find the information valuable and interesting! Thank you for doing so much for promoting realtime. For the courts and officialships in Minnesota, we are at a very crucial time as far as keeping steno jobs instead of electronic recordings, and I believe the only thing that will save those jobs – and possibly our school – is to help those reporters not currently providing realtime for judges, law clerks and maybe attorneys, to start doing so and to start promoting our unique skills before it’s too late." Regarding "Reporter and Scopist Working Realtime in 'the Cloud'": "it was GREAT. really something we can put to use every single day." "Hello Selena. First, I attended the ASL Prt.1webinar recently and loved it. I'll be following up w/the other parts." "Selena, Thank you so much for giving me the opportunity to provide remote CART. I'm grateful for the experience and resources SW provides. Your site is really one-of-a-kind! I'll definitely pass along the good word of your site to let other CART/captioners know." "Your site/club is fantastic and I'm happy to be a part of it!" "Thank you. I really enjoyed that webinar presentation by Mirabai Knight. It was very informative and inspiring." " Just wanted to let you know I am really enjoying the marathon - part of me thought I would "just get the CEUs" but I soon realized every one I watched is so informative and I have a notebook full of notes and can't wait to implement what I have learned!!" "I want to let you know how helpful access to all these webinars was to me. I really enjoyed doing them in a "marathon" format." It's like watching a whole TV series at once on Netflix. I did it in three days. I like going to seminars as well, and this is the first time that I ever watched a webinar, let alone 25, but I found the convenience and comfort of doing it at home pretty hard to beat." " I am going to give the site a good try this year. It is nice to not have to look for seminars to take, and y'all have a wide variety to choose from." "Thanks for doing these webinars for us!! You cover topics that are important, relevant and not typically presented by others! Love that!" Regarding QuickBooks Training webinar: "Thought it was great and timely for me. Great service you guys are providing!" Regarding QuickBooks Training webinar: "I did enjoy the webinar and learned so much." "I did see several good webinars. I hope things slow down and I will be able to renew my membership. It is a great website!" "I have enjoyed this website and it has been very valuable to me. Thank you!" "The webinar was very informative!!!!! Will be doing more soon!!!!" "Many thanks. Please tell Larry the seminar was really informative and helpful." "Thank you, Selena! Larry is the best trainer I ever worked with." "I loved your website for learning! I have recommend it to several already! Best wishes!" "Your seminars are very easy to use and are very relevant." "Great webinar! Larry is awesome!" "It was a very good seminar. i really like the way Larry explains things and it always amazes me what my Case Catalyst will do that I have no idea about. " "I have been a member of your website for over a year now. I just wanted to express how much I enjoy your webinars and your site in general. Every time I hear a fellow CR panic about needing to get their CEUs before the deadline I tell them about Stenographer's World. Anyway, just wanted to say thanks for the amazing resource! :)"
"Thank you! Love your website!" "I want to do webinars for my Tennessee CEUs and Stenographer’s World is the best thing out there!" "Thank you!! I'm really gaining some incredible knowledge from all of these webinars!!" "I joined Stenographers World on April 14 of this year. I am glad I joined!" "Just wanted to say I really liked the Shine your Light seminar. I've done the first part and can't wait to finish it. It's been the best yet. I really enjoyed that. Thanks for adding new stuff." "Thanks Selena, I plan to utilize many of your valuable resources to assist me in possibly transitioning to CART or captioning and obtain some more certifications. Wonderful idea, this website is!" "How often are the webinars updated? I want to see some of them even if I don't need the credits. You have a great website! Love it." "Wowww! What was I thinking now joining this site sooner? I participated in my first webinar through your site -- it was an older one -- and I loved it, AND, I get ce points. What could be easier? Thank you sooo much. I will spread the news. This is site is a must for all reporters." "Your website is a great place to earn CEUs!" "I love your website and plan to utilize it again in the future." "Thanks so much, Selena.  I appreciate your great customer service." "Glad to see you're adding some webinars. All of us "Tennessee folk" appreciate it. Your webinars are easy to do and most of them are interesting. Thank you all for being great to work with." I want to tell you how great these seminars are! Lots of great information. It is nice to know that we can get good seminars and earn CEUs at a low price. I really appreciate this site. Thanks! "I really enjoyed this seminar and have set up my automatic indexing since then. It's wonderful!" "Sure procrastinated and that's not good!!! Your website was life saving to me! I will pass on the news how it works to my colleagues and I will continue to be a member in the future! Very simple to view webinars and learn. Thanks again!" "The seminars were very educational. Learned a lot about the aspects of court reporting that I did not know very much about." "I just wanted to say thank you for helping me get my CEUs quickly and inexpensively! Your seminars were great. I really love Steve Sorensen! The way he presents his information is very useful, especially using metaphors to relate. I even love his voice and the way he speaks. He's awesome! I will definitely use this site again!" "I really like this program. It is very user friendly and I love the material. (not so lovey dovey with the lit) lol. With the time I am putting in, I see much improvement from just the month that I have been in it. I am in the 140-160 range at this point. Hopefully by year end I will be just about there. Thanks for responding so quickly to my issues!" "I'm going to join today - procrastinator's run. I have communicated w/you before and you have been so helpful. I'm going to do the yearly - think your organization is the bomb." "I'd like to say that these webinars are FABULOUS. I'm revited to the screen and look forward to rewatching them multiple times. They are informational, inspiring, and rejuvenating." "I can't even begin to tell you how fortunate I feel having found Stenographers World. These webinars are incredible. I'm excited to know that I have a year's subscription so that I can continue to watch all of your webinars. Honestly, I was just looking for a way to pound out my hours. Instead, I received knowledge, inspiration, and motivation. Thank you!" I will complete that one this week; however, I went into the part 3 of 4 to get some extra CEUs to make sure I keep my RPR and met m requirement. I did it and it's all because of Stenographer World's forum. Kudos to you and many blessings. Mikael W. "I will complete that one this week; however, I went into the part 3 of 4 to get some extra CEUs to make sure I keep my RPR and met m requirement. I did it and it's all because of Stenographer World's forum. Kudos to you and many blessings." "Great seminar! Lots of great new features that I will start using immediately! Thank you!" "I thoroughly enjoyed Larry Paiz and the way he teaches. He gets right to the point and is interesting. I look forward to taking more of his seminars, and other offered by Stenographers World. Thank you." "Thank you so much for Stenographer's World! I am getting so much out of these webinars." "By the way, I have recommended the site to many of my friends and to my knowledge one of my friends, ***** *******, has signed up with your service, so I am happy that he is gaining a great education from such a great site as yours. " "Hello, going to log into the 120 session shortly! Just wanted to say that I’m getting such a lot out of the sessions, and especially the 140 this week. I nearly wasn’t going to write to the box yesterday, but just went for it and it was a good push!" "Thank you so much Selena! Loved the seminar! Have a great weekend." "Thanks so much for your help. And there are some awesome, informative seminars there. I'm really excited i was able to get them. :) I will be plugging SW bcuz idk that it is talked about like it should be. I didn't realize how much quickbooks can do. And the motivational speakers were great. Tori Pittman's seminar was great about a scopist. I have new avenues to check out about things :)"
"Selena, I just wanted to tell you how effortless you made my CEU experience this week. Very, very user friendly and very helpful. Thank you so much. Will definitely be recommending your site and affiliated services to others. Linda in Phoenix"
"First of all, I thank SW for offering these opportunities to earn CEUs for those of us who couldn't attend conventions. I've never done something online before because I've always been able to attend conventions, but the last two years I was not able to and for similar reasons was not able to do anything online until this week." "Thank you for being so helpful, and I love the webinars on SW. It's definitely a great price too!" "hi there, I wanted to tell you how much the write live has helped me with the testing. Mostly with being able to look at my screen." "Last night's webinar on numbers conversion was EXCELLENT! I learned to much and got some hot tips too. Please let Linda know she has an easy-to-follow teaching skill. She's so pleasant to learn from and I really like it when the audience can ask questions. Thank you for taking the time to put that webinar together! I'm looking forward to listening to it again to capture the things I may have missed!" " I’ve heard good things about your site from a friend, and she wasn’t kidding!" "Just wondering - under my dashboard it shows I watched 3 webinars but No Ceus are recorded. Do they show up later? Thanks and the ones I have watched so far have been amazing. I'm so happy to be here." "I appreciate your site as it allows stay-at-home moms to get CEUs to retain their license and keep working." "Once again, thank you for responding. I set up the Webinars on my TV, so I was able to watch six of them! I believe it must have been my computer. Thank you so much for taking the time to respond to my e-mail. I am really pleased with Stenographers World and the Webinars and will definitely watch more the rest of the year." "You have a great site. Thank you." " i am sooo gonna do my next round of CEUs through you guys. you have a lot of great seminars and I'm definitely going to relisten to them when I'm not in a rush ;-) have a great day!" "I thoroughly enjoyed listening to Ed Varallo, the greatest of greats! Thanks very much for your free webinars for nonmembers and when CEUs are not needed." "I really enjoy write live. It's sort of makes me feel like I'm back in school again, but I also feel like I'm sort of socializing. As you know, working from home you don't really have interaction with anyone else. :) I really liked what you read on Monday, I think it was the graduation speech about reaching your goals." " I've enjoyed Stenographers World's webinars and have recommended your website to my colleagues." "I'm a member of Stenographers World, and this is the first time I've used the service. It's been very enjoyable. Thanks!" "I was, Selena. Was easy, just like you said. Thanks again for all of your help and support. Will be doing some more webinars with you soon!!!" " I did enjoy the time I had doing practice on your website. I liked how you could do the five minute dictation and that there was an option to break the piece down into minutes because at the end you could go back and redo the whole piece. I think that's a great benefit when you're trying to break through a speed." " Stenographers World is an impressive vehicle on the tachygraphy's road. Thanks, lady." "Thank you so much, Selena, for this great service that you help provide to us. Again, it has been my first time, but it was a great experience overall." "Thank you for your patience with me. I was just nervous, I guess, because the process was so easy. I'll definitely be doing more. Thanks again." "Thank you for your quick response. I love Stenographers World!!!" "Thank you very much, I really appreciate the follow-up. Also, I really enjoyed these webinars, they were very informative and interesting, more so than I expected. Also, as usual, I really appreciate the personal follow-up that you do time after time. It's very impressive, and I wanted to let you know that it's very much appreciated. Terry"
"Great webinars! I was very happy I learned something new with a setting on my case catalyst to make it stop hiccuping and delaying my realtime when I stroked an untrans! Thanks again!" "Thank you so much for all of the work you've done on this site and compiling all the speakers for CEUs. I'm really glad that I joined SW and wish I had been using it all along. I'll be renewing my membership in October! Thanks for all of your assistance and responses!" " I think I'm all set up now, an official member of "Stenographer's World." 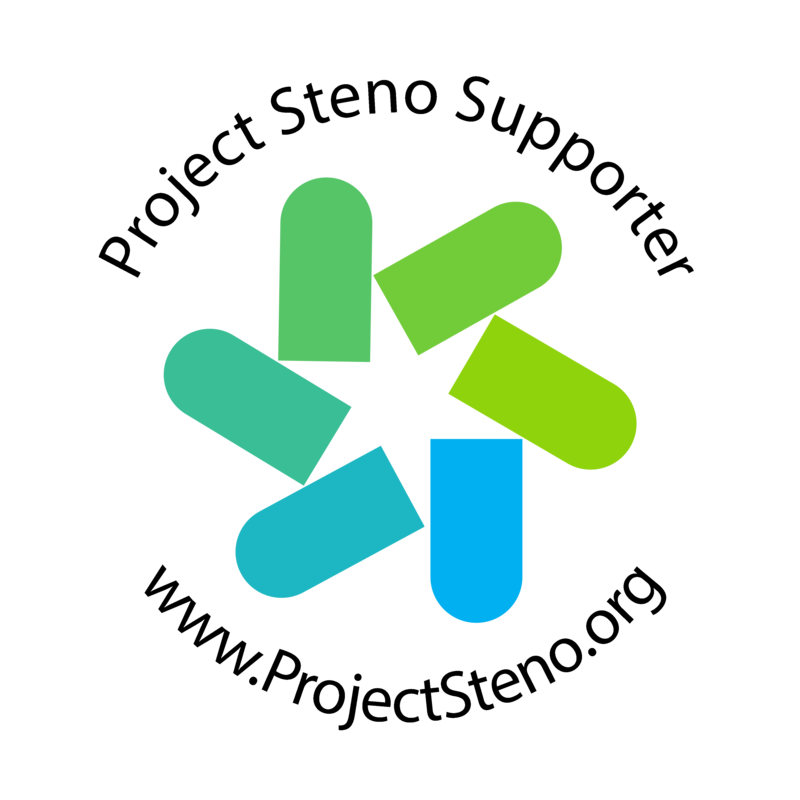 Looking at the selection of webinars, I was SO pleased to see there are several for CaseCatalyst, since that's the new software I'm learning. Of course, "Write Short - Write Fast!" is a must for me, too. Thank you so very much with your help and your patience - and thanks, too, for creating such a truly interesting and educational website!" I just completed the Nancy Varallo webinar and enjoyed it very much. She is obviously inspirational and I leave with enthusiasm and the reminder to "embrace" change"
"Thanks so very much for everything and loved the seminar this weekend. Thank for that, so much information. AWESOME..."
"Thank you, Selena. I thought you had an excellent presenter tonight. Lots of good info and tips to find balance." "Selena - I just wanted to say thank you so much for creating this wonderful website for reporters. I have finished my CEU's for this period, but there are so many more seminars I will listen to. I love the diversity of topics and the different presenters and it's always interesting. I feel like I learn something new with each presenter and I can't thank you enough for putting this resource together! Have a great day! Kathi"
"Thank you again so much for getting back to me so promptly! I will use your site in the future! Just great! I recently ventured into realtime, so the Eclipse webinars are so helpful!" "Hi, Selena. Yes, 8 hours. It's a discipline acquired through NCRA. Those eight hours at home are a savings equivalency to air ticket, hotel, meals, seminar registration regularly for two days sessions in search of CEUs, either late or early in the cycle. Stenographers World's Blowout offer was outrageous!!! Give us two every year!!! Congratulations for the Attendance Record. It's an honor to have been part of the audience. Thanks." "Thank you !!! So happy to be affiliated with your company. ????" "Thanks so much, Selena! I think your website is awesome and really appreciate being able to listen to quality seminars and get my CEUs on line!" "I have recommended Stenoghaphers World to all my friends!" "Can’t wait to do some more to get these done. What a fantastic resource!" "Thanks so much, Selena ... don't know what I'd do without your website...love it....Jenny"
Selena Stehn is the founder of Stenographers World and a stenographer providing CART captioning in the educational and conference arenas. Selena was born and raised in Illinois and now resides in Texas. Selena’s vision of Stenographers World came to life in October of 2012, thanks to the help of a brilliant coder who understood Selena’s vision. Stenographers World is a place for stenographers (court reporters and captioners), as well as students, to gain knowledge and stay up to date on our wonderful profession, as well as earn CEUs, build their steno speed and improve their realtime. More cool features are in the works. Stay with us to keep on top of your game! Thank you for your interest in Stenographers World. Please enter your information below, and your promo code will be emailed to you. Hi. My name is Selena Stehn, founder of Stenographers World. During career day as a junior in high school in a small town in Illinois back in the 80s, one of the most inspiring, motivating, and coolest ladies walked into our Secretarial Sciences classroom to give a presentation on her career as a court reporter. When she brought out her little machine and wrote on it, I fell in love. My heart raced faster than it had ever raced before. The stories she shared of some of the most interesting murder trials, depositions and even cool business meetings spoke directly to my soul. I knew what my future held for me, and I could not wait to jump in! Court reporting has been in my blood and has been my passion for many years. I graduated from court reporting school in the 90s, used my skill in many areas as a stay-at-home mom while raising my son and moving from state to state due to my then husband’s career. Due to life circumstances, I put my machine away for several years. However, it would call my name from behind the closet door as I walked by; sometimes would even scream out to me. Finally, in 2006, after going through a divorce, I decided to dust off my machine and build my speed again. At that time, there was not an inexpensive place just to build my speed and bring me up to date with what was going on in the court reporting world. So, I had to enroll in a full-time court reporting school which cost thousands of dollars. After being enrolled in court reporting school not once but twice, I heard the same anxious questions from other students wanting to know what to expect, the ups and downs of getting through school, what paths they can take once they are out working, what equipment and software do they need to have, etc. This was the driving force to start Stenographers World. I wanted to have a website that informed current stenographers (court reporters and captioners), as well as students, about what was going on in our awesome world of stenography. I wanted to help them to build their speed and get over their fear of writing realtime in front of others. As icing on the cake, I learned that NCRA would approve the webinars for continuing education units (CEUs) which allowed licensed court reporters and captioners to keep their certifications by earning the 30-hour CEU credits they need each three-year cycle, as well as PDCs by using Stenographers World’s speed building library and live and recorded Write Live sessions. So, I ventured out and was blessed to find the most intelligent and intuitive coder to bring my vision of Stenographers World to life in October of 2012. I could not have done it without her! Stenographers World has helped thousands of court reporters and captioners to maintain their licenses, as well as many students and current stenographers to build their speed and improve their realtime accuracy, enabling them to earn their licenses. There are many ideas brewing for the future of Stenographers World. Stay with us and watch us grow. We love to hear your suggestions for upcoming webinars, radio shows/podcasts, and/or ideas that you have for Stenographers World. Stenographers World is your world. My vision is to grow our profession by reaching out to school districts to add stenography as a curriculum in high schools and junior colleges in addition to or in place of pen shorthand. Stenography has been around for centuries, is present and thriving today, and will definitely be here in the future. Technology has made it possible, along with the Americans with Disabilities Act (ADA), to open many opportunities for people with this awe-inspiring skill. Annual Unlimited Webinars with CEUs Unlimited Plus (Over 210 CEU hours available - includes Live CEU Blowouts where we submit your CEUs to NCRA on your behalf plus on-demand webinars with CEUs). If you are a member or have been a member in the past, please log in and click on Membership Details. Then click Add Features located beneath the Feature Subscription box. 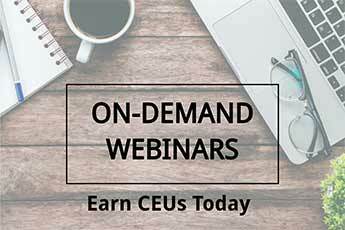 Annual Unlimited Webinars with CEUs (Over 210 CEU hours available - includes pre-qualified live and on-demand webinars with CEUs). Annual Unlimited Webinars with 1.0 CEUs (10 clock hours of your choice with over 210 CEU hours available - includes pre-qualified live webinars and on-demand webinars with CEUs). Members (Past or Current): Log in and click on Membership Details. Choose and Add Special Package of your choice. Follow prompts for payment. First-time Purchasing with us? : Click here, fill in your information, choose and add Special Package of your choice. Follow prompts for payment. Thank you for your interest in Stenographers World. Please enter your information belo to start receiving our newsletters. This free account will allow you to purchase on-demand webinars, including CEUs when applicable. It will also give you access to our free theory speed building section. Members - please log in to participate. Thank you for your interest in our live broadcast event. Please enter your information below, so we can inform you of future events.